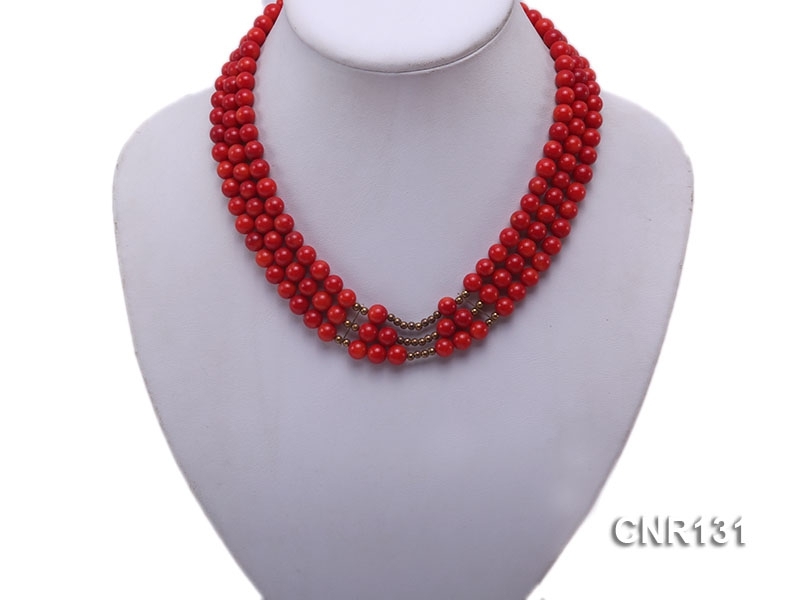 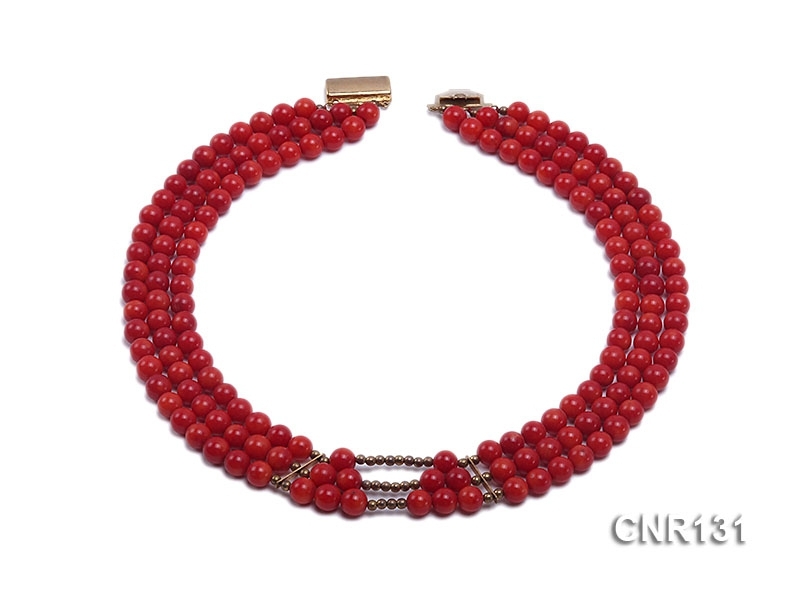 This is a gorgeous necklace consisting of three strands of red round coral beads, alternating with some golden gilt accessories. 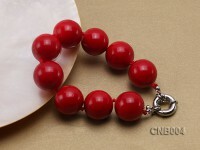 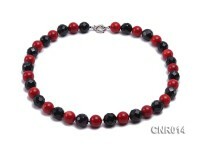 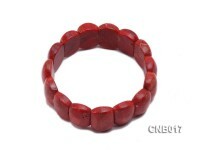 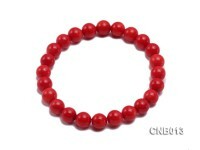 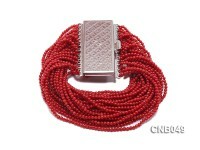 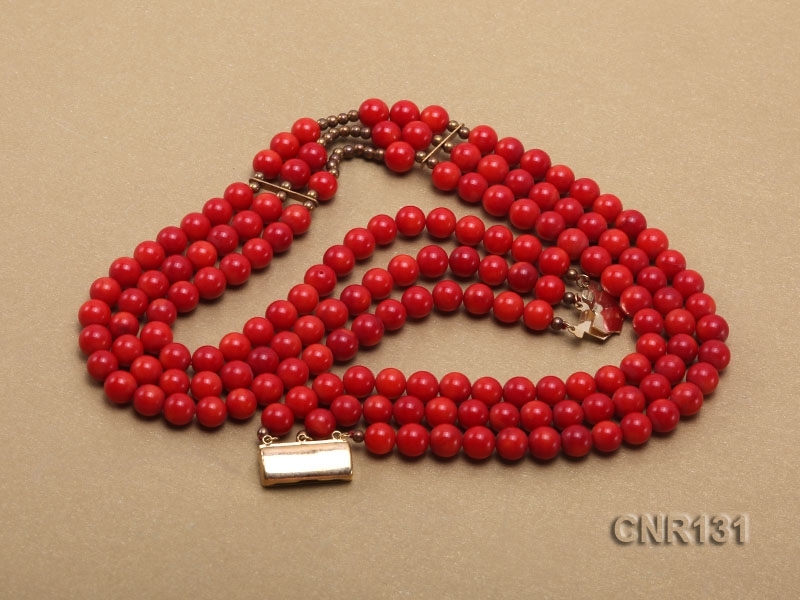 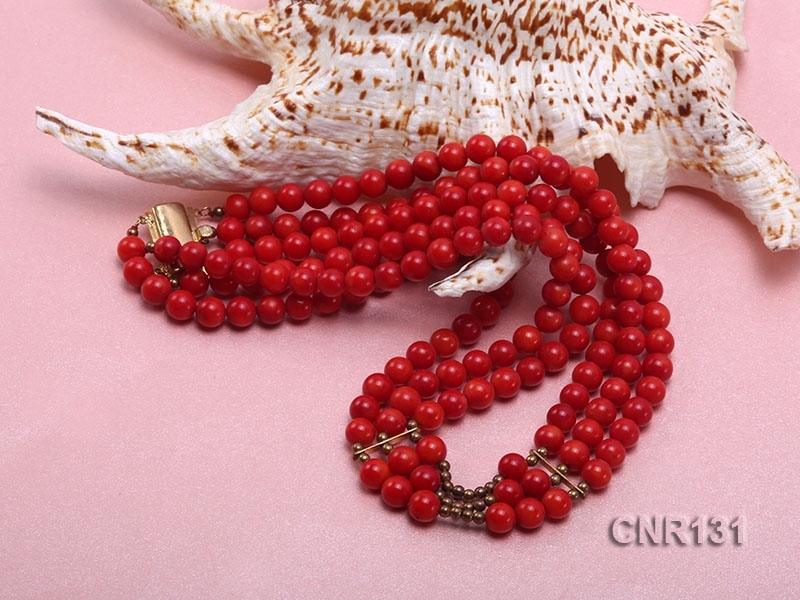 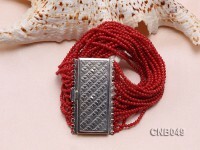 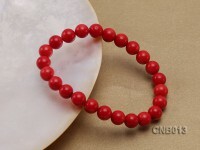 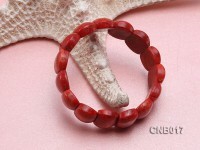 The beads measure 7mm in diameter and they all have good quality, fine luster and smooth surface. 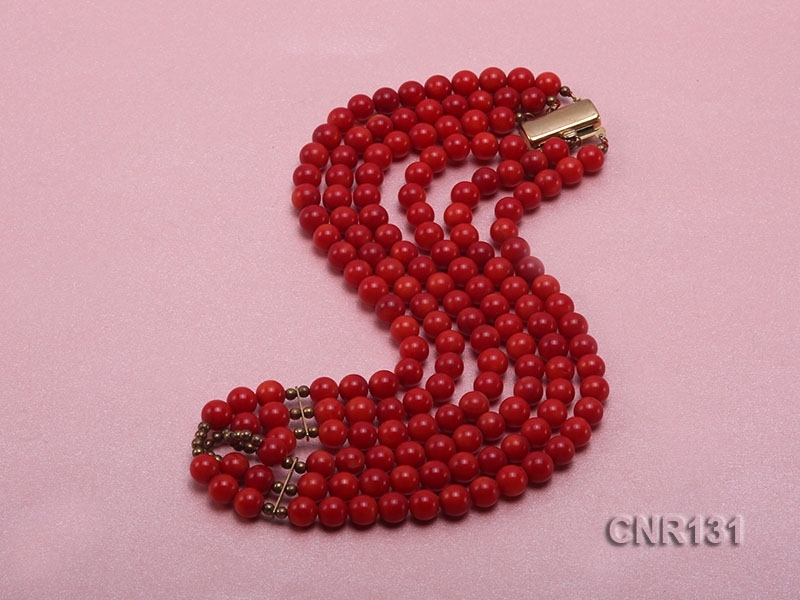 A rectangular-shaped golden gilt clasp is used at the end of the necklace as a connection. 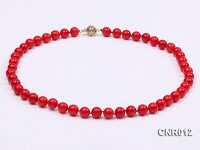 The necklace is 16-18 inches in length. 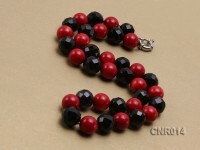 You will love it when you see it on your neck.